How do you persuade people to ride a second-hand bike across Africa? Street Child is a charity based in the UK that works with the most disadvantaged children in Liberia, Nigeria, Nepal and Sierra Leone. 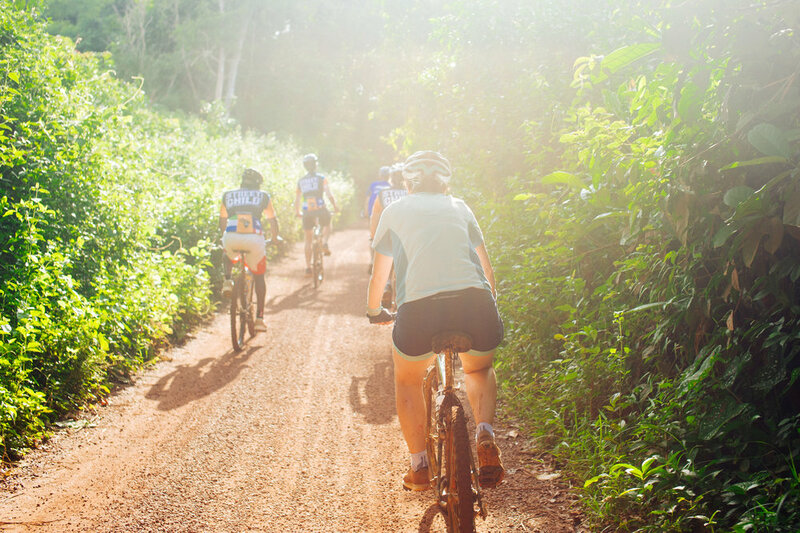 They have had tremendous success raising funds through the organisation of the Sierra Leone Marathon and wanted to replicate that, but this time with a bike ride. 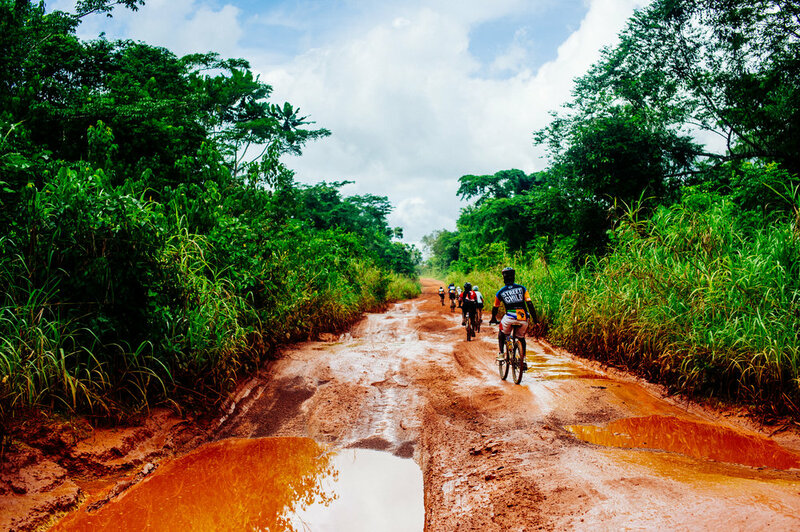 Participants would ride on second-hand mountain bikes purchased in Sierra Leone all the way from the city of Bo, across the border to the city of Robertsport on the coast of Liberia. Truly epic. The West Africa Cycle Challenge was run for the first time in May 2017 and Fausto was asked to help support the organising team by increasing awareness of the brand, with the eventual aim of driving sign-ups and establishing the event as a true bucket-list trip for cyclists. In the lead-up we drove news coverage in the cycling press, as well as accompanying the Street Child team at the London Bike Show, generating conversations that eventually led to a Hackney GT sponsoring the official Challenge jersey. And then we went to Africa, to ride every single kilometre of the Challenge – experiencing the ride alongside the pioneer participants and generating content for the promotion of future editions. Once we returned from Africa – and after a nasty bout of malaria had subsided – the work really started. 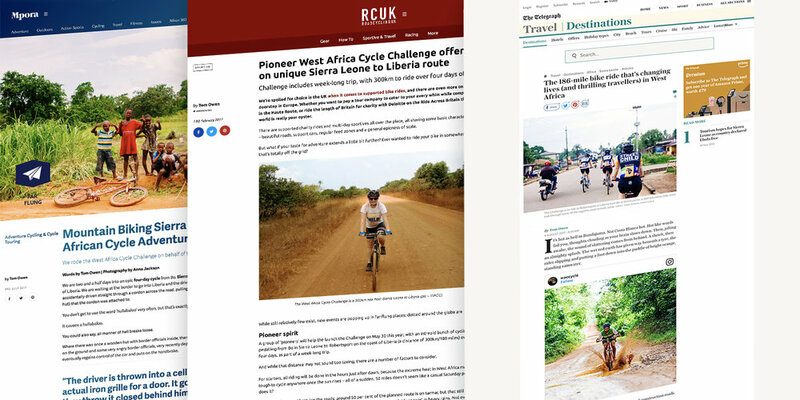 We got post-event coverage of West Africa Cycle Challenge in The Telegraph, MPORA and Conquista – coverage that drove more sign-ups for future editions. 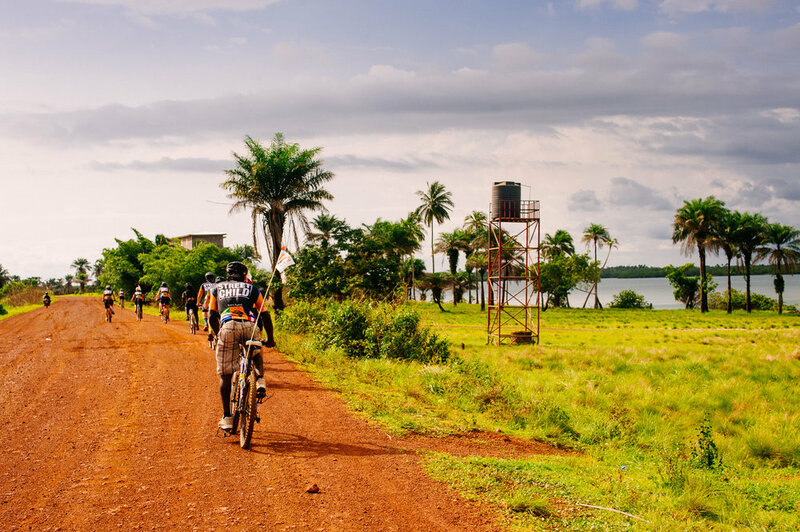 The second edition of West Africa Cycle Challenge has already received more sign-ups than the first edition, powered by increased awareness of the event generated by our coverage. There are more Challenges in Sierra Leone planned for the rest of 2018, with another exotic location also potentially in the pipeline. You can rest assured we'll be the first ones on the sign-up sheet! Having Fausto as part of the West Africa Cycle Challenge was enjoyable and invaluable. Fausto provided assistance in generating interest and awareness for the event, writing powerful and accurate articles and accounts of the trip.